Affordable, simple to deploy products designed for the education space. With many different levels of education focused products, Liberty can create the perfect package for your classroom saving you time, money, and helping drive efficiencies on every job. QSC is excited to announce it has begun shipping its recently announced Premium Business Music Solutions – the MP-M Series paging and music mixers, including wall mount controllers and smart device apps, the MP-A Series multi-channel amplifiers, and AcousticDesign™ Series SUB/SAT loudspeakers. These components offer a complete end-to-end audio solution for background and foreground music reinforcement in retail, restaurant, hospitality and other commercial spaces. Compact 1RU mixers include a wealth of DSP resources including priority ducking, scheduling, automatic mixing functionalities, plus Intrinsic Correction™ technology (factory FIR/IIR presets) for QSC loudspeakers. Features QSC’s new FlexAmp™ which enables installers to configure each pair of channels to deliver up to 400 W of total output power, in any ratio. 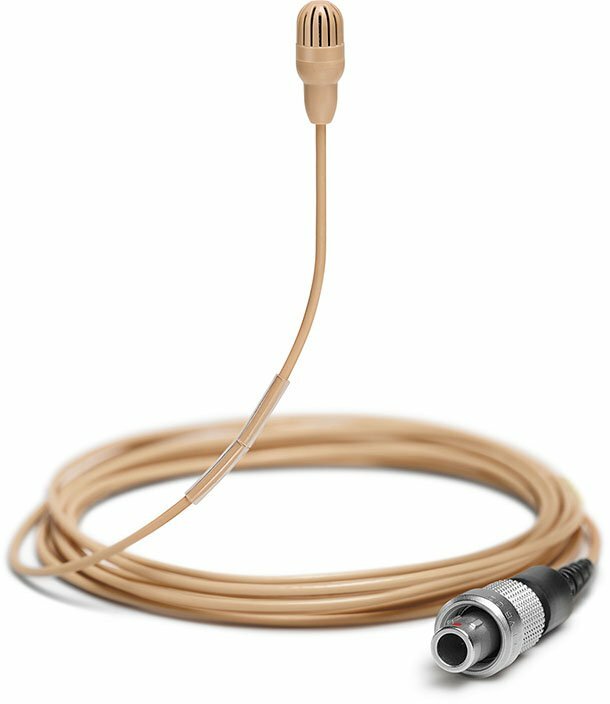 Shure's Microflex Complete and Microflex Complete Wireless Now Available! The Microflex Complete Wireless system combines a fully-featured discussion system with wireless freedom for government, corporate, or educational facilities. It speeds setup in dynamic meeting spaces or at temporary meetings in hotels and conference centers. With no cable limitations, Microflex Complete Wireless is ideal for use in rooms with flexible seating or architectural significance. Automatic Interference Detection and Avoidance technology delivers reliable RF transmission even in the most congested RF environments, and robust AES-128 encryption provides enhanced privacy. Each wireless conferencing unit is powered by a smart Lithium-Ion rechargeable battery, and a single access point can control up to 125 wireless units without additional software or licenses. With a selection of portable, flush-mount, and modular conference units, Microflex Complete fits into any room design. Industry-standard Shure Microflex® gooseneck microphones (available with single or dual flexible sections) include CommShield® Technology for RF immunity and interchangeable microphone elements for excellent sound quality. What Makes "Shawn's Box" Unique? "Shawn's Box," as we affectionately call it, was designed collaboratively by Shawn McLoughlin (Audio Biz) and RJ Kenny (Link) to address the practical needs of the Audio Engineer or LD who requires power, data, and a couple of coms or tie lines between FOH and the stage. Often, we find ourselves relying on volunteers or local stage crews to run cables and make complex connections. Shawn’s Box makes it simple and ensures a reliable connection every time. Leveraging the LKG 24/2E10 connector and Eurocable CVS LK2CAT6SF 12/3 AD2, this hybrid solution provides a unique combination of 20A 12/3 shielded power, two CAT6, and two 110 ohms shielded digital pairs that can be used for transporting a wide range of digital audio and lighting protocols, coms, and power in a single connection. Also perfect for educational or portable church applications, Shawn's Box is available in a 2U 19” rack-mount or drop-box configuration. Allen & Heath unveils a host of new Dante enabled products at the ISE Show, including unique portable and wall-mount I/O solutions for installation, and two new Dante option cards. All of Allen & Heath’s latest Dante releases are AES67 compatible and Dante Domain Manager ready.